Meadowcreek is a 1600-acre preserve dedicated to sustainable education, recreation and wildlife preservation. 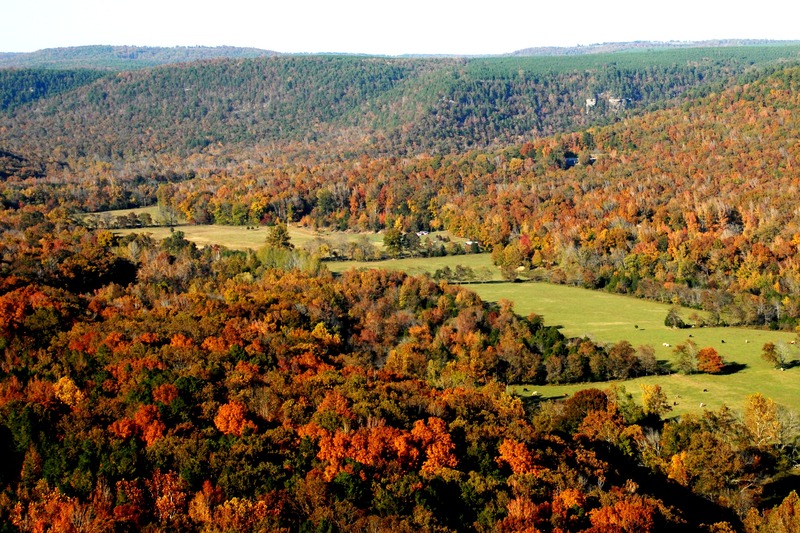 One of the largest privately-owned preserved tracks of timber in the Ozark region, it is located in the Ozark Mountains near Fox, Arkansas. With a three-mile long valley rimmed on both sides by high, rocky bluffs rising 500 feet above the canyon floor, it offers rich farmland, 1,200 acres of mixed hardwoods and evergreens, and abundant water. Meadowcreek enjoys the Ozarks’ generally mild climate and is home to the region’s typical plants and animals, as well as to varieties of flora and fauna (including prickly pear cactus, coyotes, road runners and scorpions) that are usually found in more arid climates. Designated a wildlife preserve in 1996, Meadowcreek’s very existence is the result of the vision of a series of committed individuals and organizations who, over the past 30 years, have sought solutions for surviving in a world where inexpensive energy, unlimited natural resources, and high biological productivity can no longer be sustained. Standing on the shoulders of all who have come before with dedication to preserving Meadowcreek’s pristine valley and forests, Meadowcreek’s Board of Directors, Residents and Volunteer Staff are committed to establishing Meadowcreek as one of the Ozarks’ most prized sustainable education and recreational destinations.